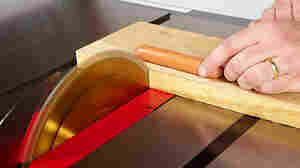 Striving For A Safer Table Saw Table saws are the country's most dangerous commonly used power tool. Forty-thousand Americans end up in emergency rooms every year with injuries — 4,000 of them suffer amputations, according to the Consumer Product Safety Commission. Safety advocates say a new technology could prevent most of those injuries. April 2, 2012  When you think of new technology, table saws don't generally come to mind, but more and more inventors are trying to make them safer — and David Butler is one of them. His Whirlwind safety brake can stop a blade in less than a second and fits onto any existing saw. December 29, 2011  Every year, thousands of Americans suffer severe injuries using the saws. But after a series of reports by NPR, the Consumer Product Safety Commission has started crafting new safety rules for table saws. September 22, 2011  Federal regulators are moving closer to implementing new safety standards for table saws, which injure thousands of users each year. One possible solution is a safety brake that stops a blade when it comes into contact with skin. But saw manufacturers say the cost is too high. June 18, 2011  This week some of the nation's biggest power tool companies sent their executives to Washington. They came to argue against tougher safety mandates for so-called table saws — the saws with large open spinning blades. NPR's Chris Arnold has this Reporter's Notebook. 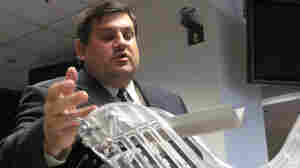 June 15, 2011  NPR has learned that federal regulators are taking steps toward new safety requirements for table saws. These saws have open spinning blades and can cause severe injuries. But the industry is resisting additional requirements. May 25, 2011  Table saws are the country's most dangerous commonly used power tool. Each year, 40,000 Americans end up in emergency rooms with injuries — 4,000 of them suffer amputations. This week, consumer advocates are in Washington meeting with lawmakers to push for tougher safety regulations for the industry. July 5, 2010  Every year, more than 3,000 people around the U.S. cut off their fingers or thumbs in table saw accidents, according to federal data. One entrepreneur created a device called SawStop that prevents such injuries. But mainstream tool companies have been slow to adopt the technology. May 31, 2006  Table-saw accidents send more than 60,000 people to seek medical treatment every year, according to federal estimates. In an effort to get the power-tool industry to adopt safer technology, SawStop inventor Steven Gass visited the Consumer Product Safety Commission near Washington recently. December 7, 2004  A technology designed to stop a table saw blade almost instantly after it hits human flesh is finding little attention among power toolmakers. SawStop's inventor says it will prevent serious injuries, but manufacturers say the technology isn't proven and cite potential liability issues. NPR's Chris Arnold reports.